RICHMOND, Va. & LAS VEGAS - Feb. 26, 2019 - PRLog -- Buhler Consulting, LLC and DelMar Aerospace Corporation announced they are formally partnering and collaborating on a range of consulting ventures to include AFWERX Small Business Innovation Research (SBIR) projects. The Companies recently completed projects with five clients supporting either their ongoing SBIR Phase I work or their efforts to win a Phase I contract. As background, annually, the US Government sets aside funding of ~$2.5B for innovative small businesses in the form of SBIR contracts. These contracts range in value from $50K to $3M and assist small businesses in adapting their products to defense requirements as well as to facilitate commercialization. The Air Force recently streamlined the SBIR process to attract more small businesses under their AFWERX organization. However, many companies selected for SBIR awards have little or no experience with the Air Force or military. That's where Buhler Consulting, LLC and DelMar Aerospace come in. 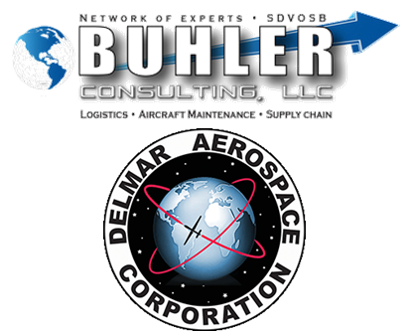 With in-depth knowledge of the SBIR process combined with extensive operational and technological innovation savvy, Buhler Consulting, LLC and DelMar Aerospace help companies through their SBIR journey. Buhler Consulting, LLC and DelMar provide services essential to SBIR success, such as: organizational guidance, technology demonstrations, as well as briefing and proposal development. CEO and Lead consultant of Buhler Consulting, LLC, US Air Force retired Brigadier General Carl Buhler, stated, "I'm excited that we can help firms receive a SBIR grant, plus help other firms selected for a SBIR grant in their quest to be successful. The technology offered by many of these businesses are often what warfighters need to increase effectiveness and efficiency, which ultimately helps Airmen executing the mission. Navigating through the military can be difficult and I'm excited Buhler Consulting, LLC, along with our partner DelMar Aerospace, have teamed to help current and future companies get to the next level." Eric Mathewson, DelMar Aerospace's Chief Executive Officer, added, "DelMar at its core operates and sustains advanced technology systems around the world. We are passionate about bringing new technologies to the warfighter, and we are ideally positioned with our partner, Buhler Consulting, to help small business navigate SBIR, win, and achieve this objective." In addition to their SBIR services, the Companies are assessing other opportunities where their joint skills and bench of expertise bring value to clients. Buhler Consulting, LLC specializes in providing advisory services, developing and editing request for proposals (RFP), participating on color team reviews, creating innovative solutions, developing strategic plans, and developing and executing SBIR grants. They also provide consulting services for small companies pursuing business development opportunities with the Department of Defense. Buhler Consulting, LLC was formed in Virginia in 2018 and is a Service Disabled Veteran Owned Small Business certified by the Department of Veteran's Affairs. DelMar Aerospace Corporation offers a range of defense and commercial aerospace and consulting services. Formed in 2018 by veterans with proven records in manned and unmanned aviation, Delmar Aerospace has positioned itself as a Service Disabled Veteran Owned Small Business that provides cost effective solutions globally. In addition to consulting, DelMar provides operations and maintenance (O&M); program management; maintenance, repair, and overhaul (MRO); and modification services.